Russia’s intervention in Syria is part of its strategy to reaffirm its role as global power that cannot be ignored or undermined. It cannot accept a defeat in Syria as a result of the collapse of the Syrian regime. However at the same time Russia realizes that it cannot achieve total victory and therefore it has to secure what we may call a “half victory”. Since it intervention in 2015 Russia has become the main actor in Syria, sidelining Iran’s role in the pro-Assad camp. Moreover, Russia has managed to neutralize the other actor’s challenging the Syrian regime, whether at the international, regional or even at the local level. In addition to dealing with actors opposed to the Syrian regime, Russia has been involved a long-term process of restructuring the regime so it can be capable of adopting the form of political solution proposed by Moscow. Political and social changes were imposed by Russia in the regions controlled by the Syrian regime as a reminder to the locals of the Russian presence! Since the beginning of Russia’s intervention, the sequence of events shows Russia's ability to break down the political equation and rearrange the parts of a dissembled picture. Russia proved that using excessive force was part of an integrated political vision, seeking to accomplish what Iran and the Syrian regime could not achieve in the past four years. This report tries to analyze the Russian strategy in Syria up until the present day and seeks to explain the Russian vision and the moment, and the future of its presence in Syria. How did the Russian Intervention develop? In October 2015, the Russian airstrikes in Syria had a great impact on the course of battles on the ground, which led to ending battles neither Al Assad forces nor the Iranian militias were able to win Obliging Bashar Al Assad was forced to thank Putin for the effective Russian intervention in finishing difficult battles in Syria .In the end of November and beginning of December 2015, there had been reports that Russian military units were operating on the ground supported by very modern Tanks (T-90). In January 2016 Al-Assad’s forces backed by Iranian militias were able to recapture strategic areas near Lattakia city after support from the Russian air force . On 14/3/2016, the Russian president declared the withdrawal of a substantial number of Russian forces from Syria ; however, this announcement did not reflect the reality on the ground, where Russian forces were intensifying their military operations. It is worth mentioning that Russian air strikes in Aleppo led to the withdrawal of the armed opposition from the eastern neighborhoods of the city. . The presence of Russia’s military forces is mainly in Shayrat, Palmyra and Hama’s military air bases. . The estimated number of Russian soldiers in Syria is 4500 in addition to a military police battalion in Aleppo consisting of 1600 soldiers. Russia has two main military bases in Syria; the first one is a naval base in Tartus which comprises of 11 battleships and an S-300 anti-missile system. The other base is Khmeimim air base in Lattakia Governorate where Russian Sukhoi air crafts are kept. Since entering the conflict Russia has developed a special relationship with its international, regional and local opponents, towards its neutralizing them and obliging them to accept Russia as a guarantor in any agreement with regards to Syria. Russia focused on putting pressure on local actors through the Use of excessive power, to get them to compromise on their political demands. After that Moscow adopted a policy of containment and appeasement with these actors in a way that maintains their presence under Russia’s dominance. The current positive Turkish-Russian ties are the most prominent example of Russia's policy in dealing with regional actors. The relationship between the two countries was very tense, especially after the shooting down of the Russian aircraft by Turkey in the end of 2015. However, the ties between Russia and Turkey became strong at end of 2016, which can be seen by the cooperation between the two countries in the evacuation of combatants form Aleppo, Idlib and the Euphrates shield as well as their participation in the Astana talks. Russia was also able to develop a close relationship with Saudi Arabia, Qatar, and Jordan who in addition to Turkey are the most notable backers of the Syrian armed opposition. Russia's approach towards the conflict has led it to develop a deeper understanding of the region, the nature of the conflict and how to manage it. This is vital training important and how to for Moscow in order to become one of the most significant actors in the Middle East. Russia was also able to bring Egypt to Syria’s side. This is not so much an attempt to create an alliance between Egypt and Syria, but is aimed at establishing a camp in the Middle East region that serves Russia objectives. Russia does not mind the emergence of disputes between its allies, in order to give Moscow the upper hand and prevent the formation of any strong bloc within this alliance that may oppose Russia in the future. Russia tried to put an end to pockets of armed groups and stabilize the situation on the ground to create a stable order that is acknowledged by the conflicting parties in Syria on the one hand, and the regional and international actors that support the conflicting parties on the other hand. Russia was able to develop relations with the Syrian regime’s opponents and who in turn were its opponents. Russia strategy of reaching out to the opposition helped establish ties with opposition groups and transformed some of them into allies while neutralizing others. By end of 2016 Russia became to become a mediator and guarantor for the armed opposition inside Syria. Furthermore the Syrian opposition rejects any agreement that does not include Russia as a guarantor, while the presence of the Russian military police in certain areas has made locals feel safe contrary to areas under the control of Iranian militias. The Russian approach shows flexibility in handling the Syrian crisis even though Russia categorized the Syrian opposition with all its spectrums as "terrorist groups". Some of the groups that had been designated by Moscow as terrorists in 2015 became partners at the end of 2016 through Agreements reached between the two sides. 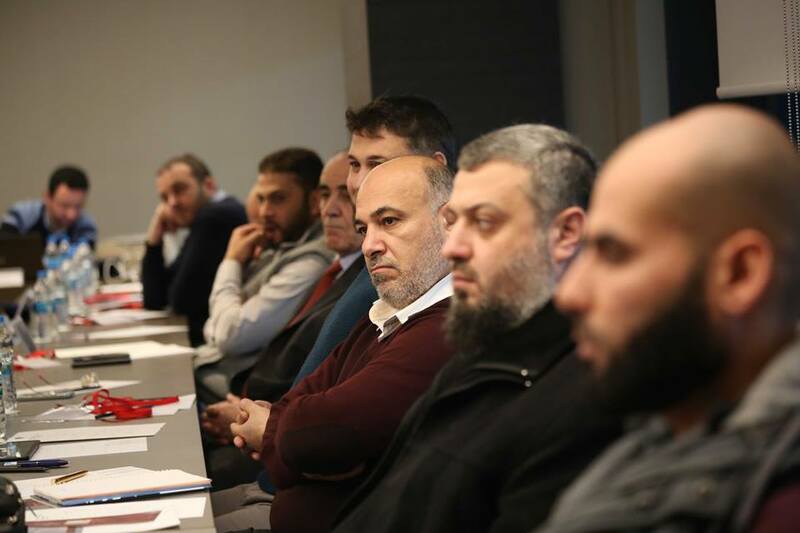 As a consequence Russia has reconsidered its categorization of the Syrian opposition, and forced the Syrian regime to accept and recognize the new Russian categorization of some components of the opposition. Special ties between Russia, Syria’s Democratic Forces (SDF), and the Democratic Union Party (PYD) were formed despite strong relations between the U.S and the Kurds and despite Turkey’s poor relations with the Kurds.. The self-governed Kurdish areas in the north of Syria appointed a representative in Moscow in February 2016 and Russia hosted the International Conference for Kurds under the name "Competing for reallocating the influence in the Middle East……. the current situation and the possible consequences" on 15th of Feb 2017. Kurdish representatives from Iraq, Syria, Iran, and Turkey took part in this conference with the presence of Russian experts and officials. Before the start of the conference, Russia declared that: "There is no solution for the Syrian affair without the participation of Kurds in the process". 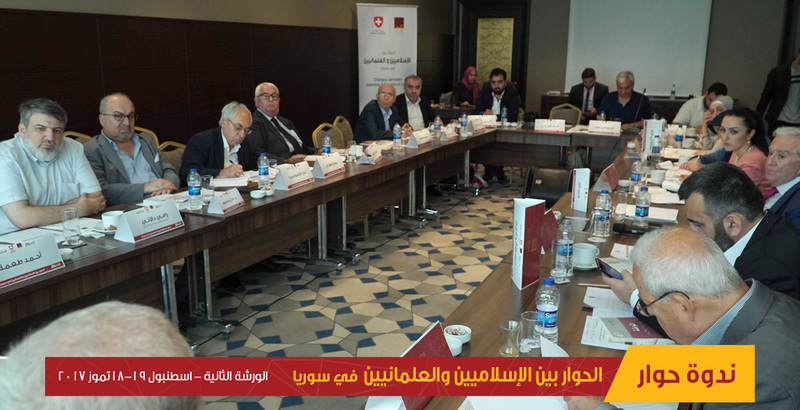 As for the external political oppositions represented by the Syrian Coalition and High Negotiation Committee (HNC), they reject any flexibility in building any ties with Russia, who consider its presence in Syria as an occupation that must end. The external political opposition insists that any understanding with Russia can only take place if the latter accepts that there is no place for Assad in a future Syria. The political opposition insistence on this demand is due to their belief that Russia seeks to keep Bashar Al-Assad in power which is why it intervened militarily in Syria. Institutions and individuals from the political opposition are unlikely to compromise on this demand, because their popularity within the opposition will decline. In addition to this Russia has not shown any flexibility in dealing with the institutions of the political opposition, which it deems to be weak and do not represent the interests of regional actors. Russia also believes that these institutions have very little influence on the ground, for them to convince Moscow to offer concessions. Furthermore Russia rejects any discussions about the future of Al Assad as a precondition for negotiations because the Syrian opposition has failed militarily and politically to bring down the Syrian regime. 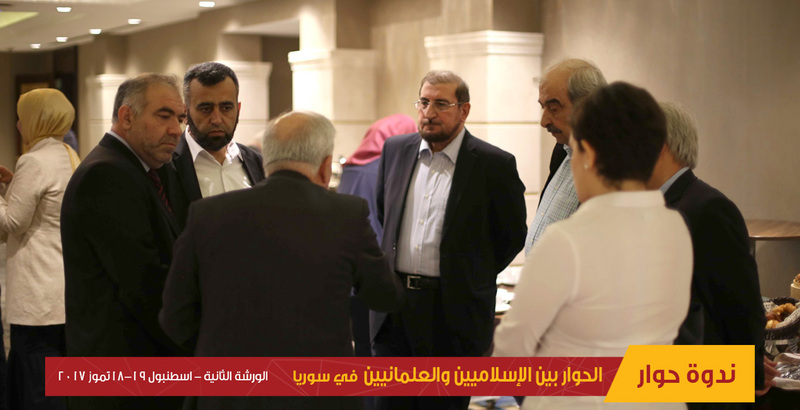 Therefore it cannot impose on the Syrian regimes allies the departure of Assad as a precondition to negotiations. .The future of Al-Assad should be left to Russia’s assessment in accordance with a comprehensive vision for the form of government in a future Syria, which has to be accepted by international, regional and local actors. At the same time Russia has shown openness in dealing with opposition groups including those that oppose any role for Assad in a future Syria such as the Tomorrow movement. This is because these groups have shown flexibility in dealing with Russia’s presence and its desire to preserve the Syrian state. Russia rearranged the internal structure of the Syrian regime and pressured Assad to accept agreements reached between Moscow and the opposition. Furthermore Russia imposed structural changes within the Syrian army and armed groups backing the regime. The meeting between Al-Assad and the Russian Defense Minister on the 18/6/2016 was very significant. The Russian media deliberately broadcast this meeting on air to show Assad looking surprised because he was unaware of the visit by the Russian Minster. This showed a disconnect between Al-Assad and the country that he is supposed to rule This scenario shows the nature of Russia’s policy towards the Syrian regime which aims to reorganize Assad's rule, while stressing its utmost affiliation to Moscow. Russia Also prevented Bashar Al Assad from making any victory speech in Aleppo city after the Syrian opposition's withdrawal, as a clear sign that Moscow has the upper hand in Syria and has no intention of ending the armed opposition presence in Syria. On the 20/10/2015 Bashar Al-Assad visited Moscow without a delegation.. During the meeting with the Russian president, all presidential protocols were withdrawn from al-Assad. Russian officers used the same approach in dealing with in dealing with leaders of the Syrian security and intelligence apparatus, forcing them to follow only from Russia’s. Russia made locals feel safe through the lifting of many check points in the areas controlled by the in addition to constraining and pulling out the foreign militias from these areas. 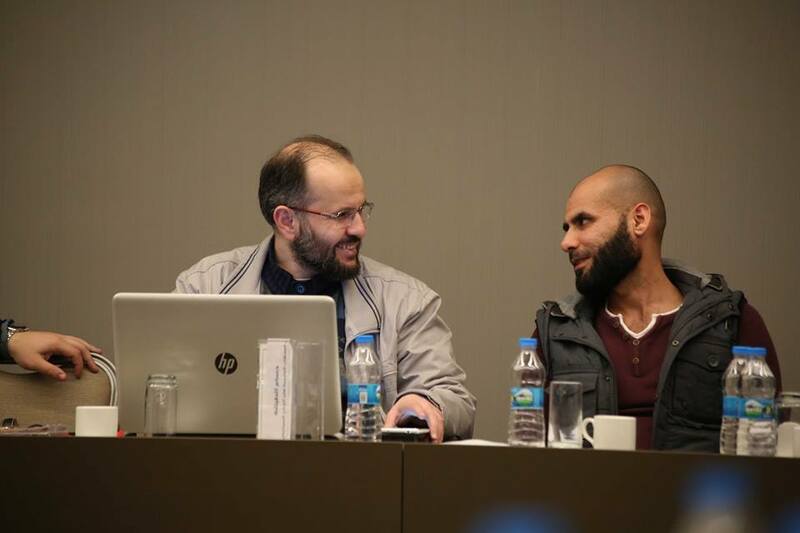 The level of political arrest decreased to a great extent and many civil society organizations were able to operate despite their inability to affect the political decisions in Syria. 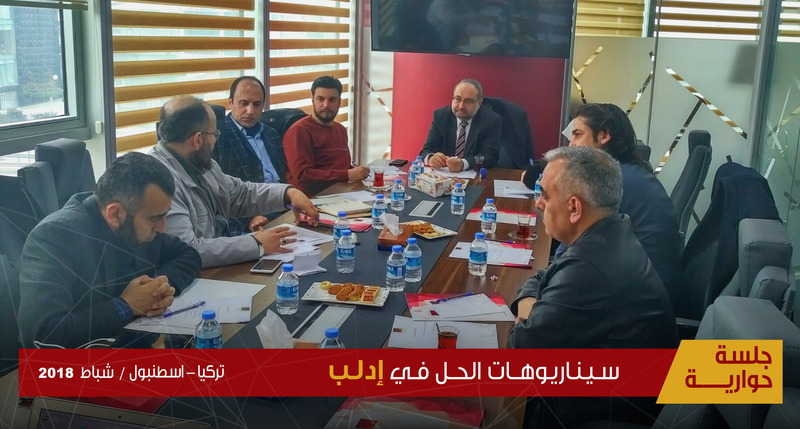 In the second half of 2017, some security branches summoned well-known opposition figures and activists in a friendly way similar to how the regime dealt with the political opposition situation between 2001 and 2002, and asked them to engage in political dissents. These moves by Russia show its desire to recast the regime in a new form after its institutions have lost their power. These moves by Russia may also be aimed at presenting a new regime with more diversity that give Syrians the impression that real changes are taking place rather than minor ones consequently. As such it seeks a solution that guarantees support for Russia and stability in areas controlled by the Syrian Regime, in addition to shaping the form of the Syrian State that will be sympathetic to its interests. What are Russia's Objectives in Syria? Russia is the most effective and influential country on the ground, and has been able to affect significant changes on the battlefield. It has also been able to impose the options that it wants. In theory, no party seeks or is capable of removing Russia from the Syrian conflict, which means it will remain the main actor for a long period. Even the American administration shows no will to confront Russia because it views Russia actions in Syria in positive way. The political realities show that, Russia is not holding on to Bashar Al Assad, while Russian officials insist on rejecting to deal with Assad in their Assad in their closed meetings. They view Bashar Al Assad as low priority for Moscow. However, Russia seeks to maintain a strong regime in Damascus that can preserve the Russian interests in the long term. Russia realizes that preserving Syria means the participation of a great number of actors including Al Assad's opponents who do not consider changing the form of the Syrian State. Moscow also seeks to neutralize any actors which reject the political solution and thus seeks to establish a hybrid regime in the future. Russia wants to constrain the Iranian influence in Syria, by bringing the Iranian forces back to Iran. However, this objective is related to a clear and concrete plan from the American side, in which Moscow will play an important role in restructuring Iran’s role as a regional power without posing a threat in the region. Russia does not want to lose the influence it has over Iran and therefore the presence of Iran as a regional power is important for Moscow. Curtailing the Iranian role means limiting Hezbollah’s military and political influence in Lebanon and the region, which Russia is doing by keeping it ties with the group to a minimum. Russia seeks to control the Lebanese arena in order to curb the influence of any possible party opposing Moscow The regions stability is important for the success of its new model in the region. After analyzing the Russian position towards the Syrian crisis, and what has led Russia to take the decision to intervene military in Syria we arrive at a clear strategy that seeks to break the strategic stalemate. This is the main reason behind the Europe’s dominance over Moscow o concerning many regional and global issues, which has limited and constrained Russia’s global authority. - A full scale Russian military intervention in Syria, which could bring back sorrowful memories from its defeat in Afghanistan. However, this gives Russia the potential to become the main actor in Syria. - maintaining the political and economic support to Syria without any direct intervention, which removes Russia from being a prominent actor in the Middle East. This scenario would make Russia lose a valuable chance of being a permanent actor in the Middle East which will limit its international influence in the region. After the fall of some allies like Saddam Hussein and Muammar Gaddafi, Russia chose to intervene in Syria to achieve its strategic objectives, maintaining Syria as a unified and secular country, and protecting the Syrian regime from any imminent breakdown. 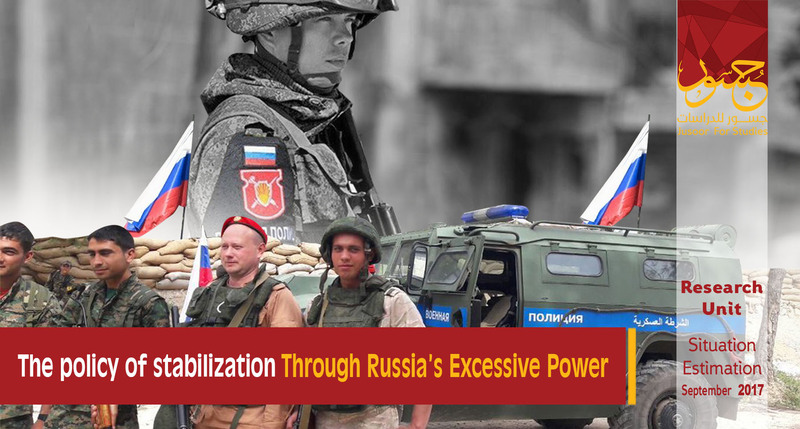 Moscow proved its ability to break the security umbrella of the U.S through the Russian military power. The Russian intervention in Syria is a message from Putin to the world that, Russia has the military power which the international community should take into consideration. The usage of very advanced Russian weapons in Syria is a promotion for the Russian military production. Furthermore, the Russian intervention in Syria helped in raising the popularity of Putin internally and distracted Russian citizens from internal affairs. It also raised the level of national pride as a result of the economic sanctions imposed on Russia after seizing the Crimea peninsula from Ukraine. This led to a decrease in oil prices and the spread of poverty between Russian citizens. Through its military intervention Russia was able to fortify the Syrian regime from any near fall in addition to recognizing the presence of the Syrian opposition on the ground. It's thought that Russia's presence in Syria would take a long time to fulfill political and demographic roles. The first role is for protecting Moscow's interests in the Mediterranean and the geographic region that Russia describes as the "effective Syria" or "small Syria" while the other role is to achieve Russia’s historic dream as Orthodox Christian power with a major presence in the region. This paves the way for establishing a State with elite minorities culturally, socially, and economically and presents an example of coexistence between these components. The de-escalation zones represent a consolidation of the Russian strategy in separating these components through borders, which paves the way toward a federal solution and a constant conflict that can be only prevented by the long-term Russian military presence in the region!